In 2007, filmmaker Betsy Kalin began working on a documentary about Boyle Heights, a Los Angeles neighborhood quick to embrace racial integration from the 1930s onward despite America’s generally discriminatory tendencies. After years in the making, the film will finally debut at the Downtown Film Festival Los Angeles this Sunday, July 26 (get tickets here). We caught up with Kalin ahead of the premiere to talk gentrification, multiculturalism, and acceptance in one of L.A.’s most historic areas. What’s so funny is, we’ve been working on this for eight years, and the neighborhood has changed so much even in that short period of time. The whole film looks at external forces foisted upon the community from the 1940s—racially restrictive housing covenants, freeways, Japanese internment—and now the community is facing gentrification and displacement. Boyle Heights is still Boyle Heights. It’s the same community. What drew me there is its activist history—they constantly got the short end of the stick, but the people in the community fight back. I wouldn’t say they’re fighting gentrification, but they’re fighting to keep their community. How is the East L.A. freeway playing a role in all of this? 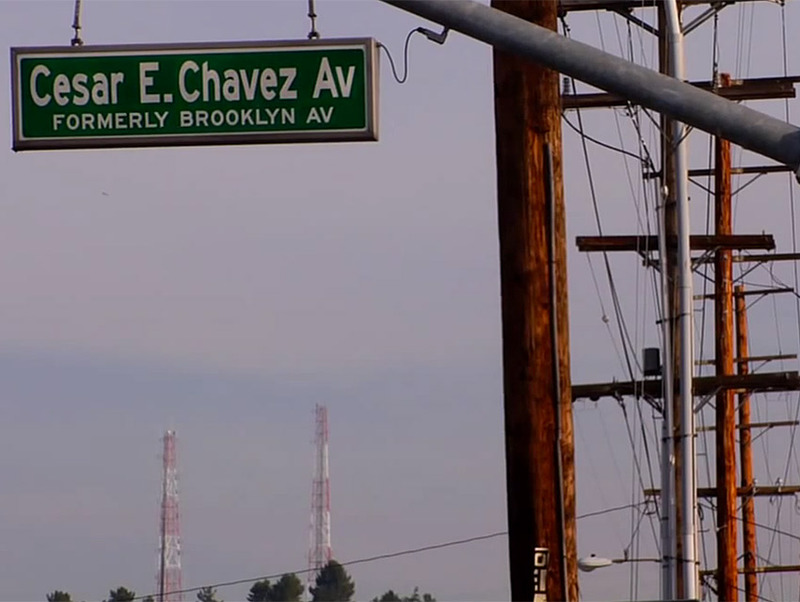 Boyle Heights was one of the wealthiest areas in L.A. There were gorgeous, big houses and orange groves. The freeways displaced over 15,000 people, created cul-de-sacs, and trapped people in their little sections. There was a structural blockade between Boyle Heights and the rest of L.A. In some ways that was a positive thing, because so many communities that have freeways go through them across the U.S. were destroyed. You look at Detroit and Chicago and places like that, and these communities aren’t in existence anymore. I think because Cesar E. Chavez Ave. was a little farther from the freeways, people were able to have this hub that kept the community in tact. What are you hoping to achieve with this documentary? Will viewers walk away with a need to galvanize support for the area? I hope that people get emotionally involved with the people of Boyle Heights and take away this sense of strength to go back into their own communities and fight for things they believe in and make change happen there. I want Boyle Heights to be a microcosm of the U.S.
You’ve said that Boyle Heights was one of the few neighborhoods in the history of the United States that strived to be truly multicultural. Now that it has a predominantly Latino population, how can it stick to its desegregated roots? Education. Even though it is prominently Latino, it is still a diverse community to some extent. There are Asians living there that have had the same homes for years. There’s an African-American population. So on some level it is still multicultural. But when we were first shooting, we were talking to one of our subjects and were like, “There’s this synagogue…” and he didn’t even put it together that Jewish people were living in the community. And he would walk by the Breed Street Shul all the time. So it’s just making people aware.